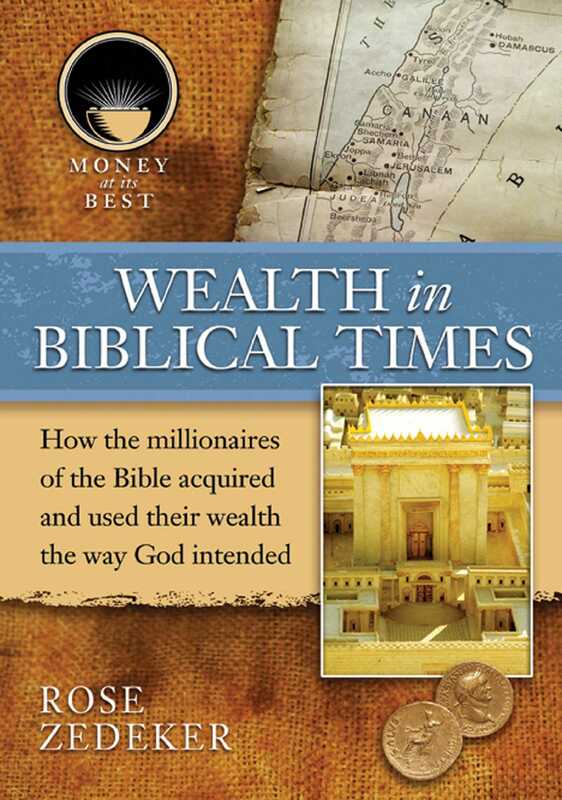 Wealth in Biblical Times covers a subject seldom associated with this ancient era-money. Bible verses not only indicate that wealthy people lived during this time, they also describe the rules that applied to good stewardship of their fortunes, God gave these men and women abundance and expected their trust and obedience in return. This book includes the stories of several figures who lived in Biblical times, including Joshua, Isaac, Deborah, Gideon, Ruth, and the Queen of Sheba. It shows how they managed their wealth or their privileged positions in order to help their communities. Millionaires of the Bible Series. The series Money at its Best: Millionaires of the Bible examines the lives of key figures from biblical history. The books in this series draw on the Bible and other religious writings, as well as on legends, folktales, and the work of modern scholars, to show how each of the people profiled used his or her wealth or privileged position in order to make a difference in the lives of others.